2013 has been a good year to me. I travelled a lot (more than I expected, actually), met new friends, and ate a lot of food as well. Just like last year, I will try to summarize my year of travel with this blog post. I've been to Bontoc, Mountain Province for the first time this year and I went there twice! It was my first time in Indonesia and Malaysia. I even went to Malaysia twice (once in Kuala Lumpur and once in Kota Kinabalu)! I've been to the Bicol Region (Legazpi City and Naga City), Misamis Region (Cagayan de Oro City and Ozamiz City), Ilocos Sur and Ilocos Norte for the first time! 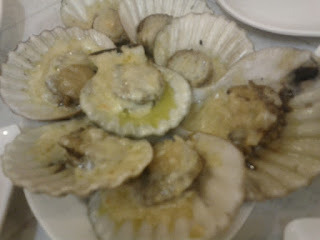 I came back to Pangasinan before the year ends and enjoyed the food there as well. I went to Baguio City and Cebu City four times this year! I thought I wouldn't be travelling for December anymore and yet the opportunity came when +GBG Pangasinan and +GBG Dagupan organized +Google Code-in Meetup for the students in Lingayen and +GDG Philippines, and +GDG Baguio helped for the said event. Lingayen, Pangasinan We left Manila around 6:30 AM aboard the Victory Liner bus going to Alaminos. We had two stopovers and was sleeping most of the way. As instructed by our friend +JR Padilla, we alighted in Socony and rode a mini-bus going to Dagupan. We asked the bus conductor to drop us off in front of Bangsal Suites. It is the place where we would stay for the night. After checking in and dropping off our things, we had lunch in Rudy & Jing Seafood Restaurant. We had the most delicious grilled catfish and milkfish. The meat was sweet and tender. It was the first time in a long time I had fish those delightful. Recently, I moved near to restaurant and food melting pot - Kapitolyo in Pasig City. Guided by our dear friend +Mitch, +Jomar and I am starting to see the many restaurants Kapitolyo has to offer. The food was good. Though I am not a fan of Vietnamese cuisine it was still good food and as always great company. 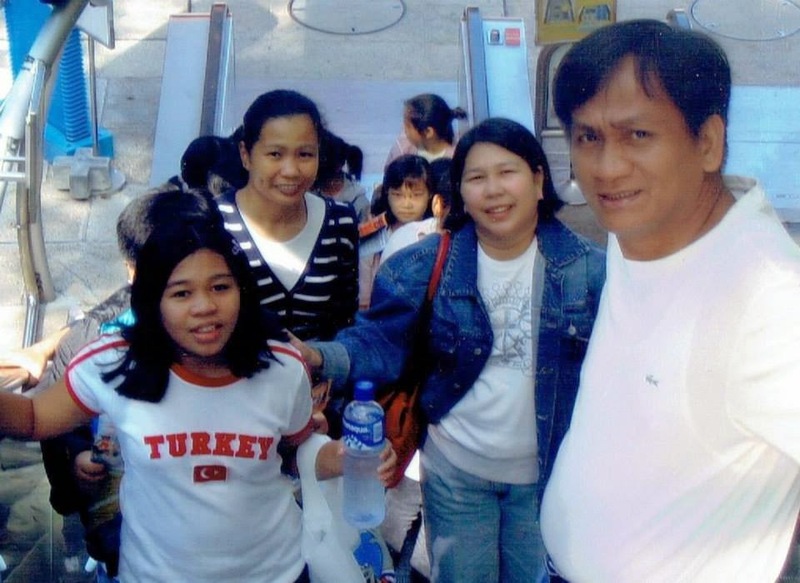 Background Story: My parents and siblings are flying to Canada on December 14, 2013 (Saturday) and I will be left behind here in the Philippines. The need is to buy a condominium that I could occupy as soon as possible. 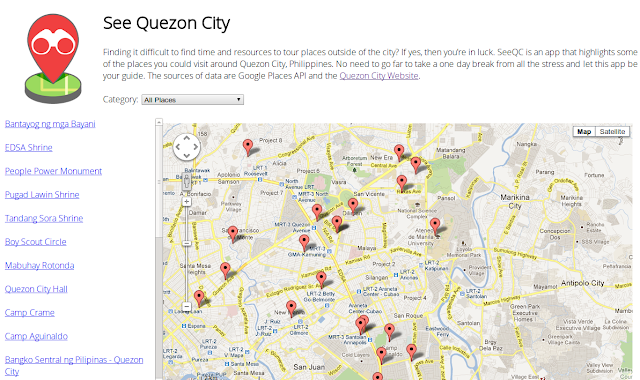 The Find: We keep on searching and inquiring for a condominium that is easily accessible via the major roads like EDSA. My mom searched online and found The Gateway Regency online. She called up the broker, and the scheduled an ocular. They saw a one-bedroom unit that seems right. As early as the ocular, my mom keeps on repeating to the broker and the marketing employee of Robinsons Land (Valerie Mijares), that we need to move in as soon as possible and before the flight of my family. We want them to expedite the process, and they confirmed that it is possible. Last December 6, 2013, our company had annual planning. We wanted to conduct it within Metro Manila, but the ambiance should not feel like you're in the busy metropolis. After searching and thinking, we end up with The Bayleaf Hotel in Intramuros. For Php 1,250.00 per person, we had a conference room (complete with a television, marker, whiteboard, etc.) from 8:00am to 5:00pm, AM and PM snacks of our choice, and breakfast buffet at 9 Spoons. Not bad of a deal, right? On our last day in KK, we woke up a bit late and was sweetly taking our time as we prepare to check out. We had another round of delicious Malaysian breakfast then off to Le Meridien. We thought of riding the bus, but it was taking too long, so we walked going there under the heat of the sun. When we (+Jomar, +Svet, +Mitch, and I) arrived there, Mama +Chelle and +Wayne were missing. They came around an hour later after having breakfast. We decided to chill in the room and then had lunch in the recommended place nearby Kedai Kopi Seng Hing Sunsuran. They serve good food, and I loved their Tuaran Mee (it's a dried noodle dish that originated from the town of Tauran in East Sabah). Good morning 2nd day in the City of Kota Kinabalu! +Jomar, +Wayne, and I had breakfast together. I particularly like the chicken wings they served today. After preparing for our beach trip, we went down at the lobby and met with +Svet, +Mitch, and +Lorna. +Chelle and +Murphy are waiting at the lobby of the other building. We started walking going to the Gaya Street Sun day Market where they are selling all sorts of things. Some of us decided to buy this cold Malaysian drink while +Jomar and I were busy hacking portals. Next thing we know, Wayne started shivering, and Mitch is hugging him trying to keep him warm. We started giving out the shawl that we have ready for our beach trip. I have a cardigan in my bag and gave it to Wayne as well. Thanks to +Lorna and +Murphy for helping us find the nearest clinic. Later on, an ambulance picked Wayne up to go to Queen Elizabeth Hospital (a public hospital). Good morning Kota Kinabalu! Magandang umaga Sabah! Selamat Pagi Malaysia! 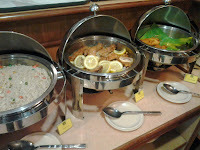 It was our first day in Malaysia and +Jomar, and I enjoyed the breakfast buffet of +King Park Hotel Kota Kinabalu. I particularly remember the Beef Rendang because it was the only food I am not familiar with that they offered. GDG Devfest Kota Kinabalu 2013 After making sure that we're ready for the long day, +Jomar, +Mitch, +Svet and I started walking towards the Wisma Bandaraya. It is the venue of the first GDG Devfest Kota Kinabalu and is two blocks away from our hotel. We saw +Sebastian outside the building trying to figure out the entrance. We also bumped into +Loretta as we figure out on which floor we should go as the building lobby is empty. My life goal right now is to travel and see much of the world as I can. 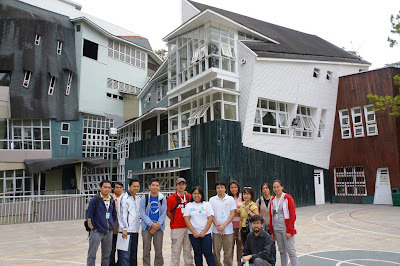 Last June, I was in Yogyakarta, Indonesia for the Google Southeast Asia Outreach Summit. Little did I know, that I would be travelling out of the country again, this time in the Capital City of Sabah - Kota Kinabalu. 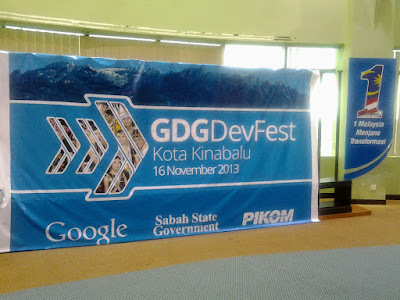 +GDG Philippines were asked to help +GDG Kota Kinabalu with their first GDG Devfest KK. We were in Baguio for my birthday last November 8. Aside from celebrating my birthday in my favourite city in the Philippines, +Jomar and I were also speakers for the Google community Baguio events last November 9. He will be speaking at +GDG Baguio's Devfest while I will be sharing about Google+ and Google Search for Education for +GBG Baguio's gDaysXBaguio. The morning started with a round of breakfast from +Azalea Baguio. The joint morning program happened while we moved from one room to another and we also visited the ongoing launch of +GEG Philippines in +Berkeley School Baguio. We had lunch at Canto in the Ketchup Food Community. I celebrated my 24th birthday last November 8. Below are highlights of the week that I had. Crazy Katsu In Maginhawa Street, you will find the original branch of Crazy Katsu. As the name of the restaurant suggests, they serve all sorts of Katsudon and other Japanese meal. I love the Katsu Curry. The curry sauce was one of the best that I have tried and at a reasonable price (Php 190.00). +Jomar, on the other hand, ordered the Katsudon (Php 150.00) which was equally good. The chicken was tender and served hot. The only disappointment of the day was the Gyoza (Php 120.00). It tasted like how a refrigerator would smell when you have not to clean it. Overall, I would go back to Crazy Katsu because of their delicious Katsu Curry. There are some areas in Metro Manila melting with restaurants left and right worthy of a food trip. On top of my head, I could think of Maginhawa Street and Timog in Quezon City, Kapitolyo in Pasig, and Wilson Street in San Juan. For this particular post, I will share my experience in another melting pot of restaurant in Banawe, Quezon City. 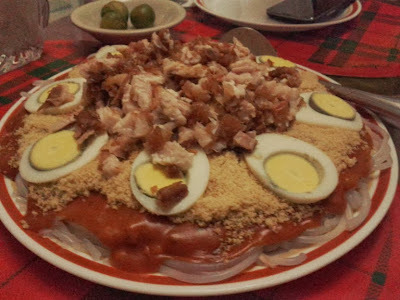 Last October 2013, I was able to visit the City of Naga and below is my food trip in CamSur. Casa Moderna Freshly baked bread on a huge brick oven and some Pancit for snacks on a lazy afternoon. That's how I enjoyed the soft pastry and meaty Pancit in Casa Moderna. Currently, they have five branches all in Naga City. Be sure to visit at least one of them. +Jerome Locson invited me to be one of the speakers for BYTE 2013. I will be sharing about Gmail (with Contacts & Tasks), Calendar, Google Search, and Google Sites. +Jomar Tigcal will be sharing about Android development while +Wayne Manuel is going to share about Google Maps API. My previous post ended with +Jomar Tigcal, and I on our way to the Terminal to ride a van going to Naga City. After two hours (around 3:00 PM), we got off in front of SM Naga. Tricycle, taxi, jeepney, and vans were everywhere. 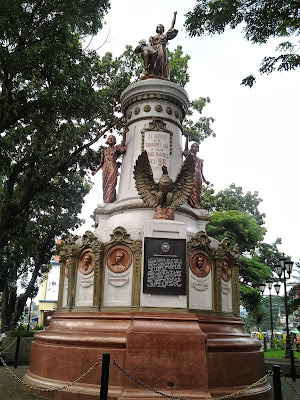 My first impression was it is a progressive city and a whole lot busier than Legazpi City, Albay. We rode a tricycle and headed to our rest for the night: Naga Regent Hotel. Probably a review of the hotel in another post! After dropping off our stuff and resting a bit, Ms. +Aileen Apolo sent us an SMS informing us that we should have snacks in her cousin's place, Casa Moderna. +Wayne Manuel, +Jomar Tigcal and I got lost because there's a branch near our hotel - we went there first, and after searching for Ms. Aileen to no avail, we asked the waitress and found out that there are five branches of Casa Moderna all over the city! At last! After more than two months of staying in the city, I found myself in a new place again! 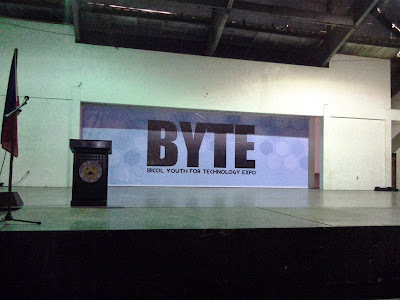 I could not be happier when Jerome Locson invited Jomar Tigcal, Wayne Manuel, and I to be speakers for the Bicol Youth for Technology Exposure (BYTE) 2013. It was my first time to visit the Bicol Region, and I am ecstatic to be there! The event was on the 19th of October 2013. Instead of flying to Naga, Jomar and I took the flight via Legazpi to see the beauty of Mt. 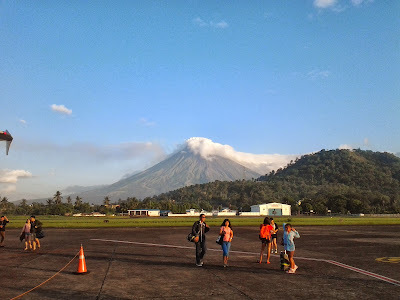 Mayon and explore what time would permit in Legazpi, Albay. I've been working in Makati for three years now and have tried different food places around the busy city. In the first round of my food trip around Makati, I will be sharing about Commune! It's a coffee + bar + restaurant found in the corner of Valero and H.V. Dela Costa (near Trafalgar and BDO Towers). All-Day Breakfast I loved their chicken longganisa! It was the first time I tried last October 2, and it was delicious. The only reason I don't have a photo of it is that I finished the food before I remember to take a picture of it. Gutom eh. Ultimate Food Trip I love Commune and the different food adventure +Jomar Tigcal, and I have when we have dinner here. Jomar is more adventurous in trying all the viands available while I stick to the food that I like. I've been to Baguio quite a few times, and here I am trying to share about the excellent restaurants and yummy food I have tried. Good Taste Cafe and Restaurant They serve great food served with the freshest available ingredients at affordable prices. I would recommend the Chopseuy, Beef Broccoli and Buttered Chicken. +Jomar and I ordered those and we could not even finish one of the viands! Talk about takaw tingin. O' Mai Khan This is my fave restaurant in Baguio EVER. No, I don't order the Mongolian buffet. Rather, I choose to explore their culinary expertise with the ala carte meals. My favourite right now is Kublai's Dream. 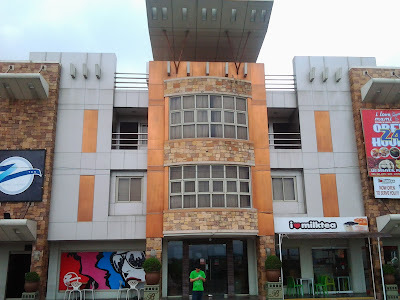 This blog post is the 3rd one highlighting three restaurants in Maginhawa Street. Previously, I've been to Crazy Katsu, Fancy Crepes, and Fruili Trattoria along Maginhawa Street inside the U.P. Village, Quezon City, Philippines. Yesterday (since it was a holiday), Jomar and I had our holiday date. We decided to eat somewhere in Maginhawa. Roberta Flavors of Asia (formerly called, Roberta Seafood Cantina) For lunch we went to Roberta, we ordered, Salt & Lemon Pepper Squid, Gising-Gising, Bagoong Rice, and Herbed Rice. Nothing was outstanding about what we ate. It was sad. The only consolation is the Herbed Rice which tasted fine. +Jomar Tigcal and I celebrated our second anniversary last August 4, 2013, in Baguio City with our dearest friends from both +GBG Philippines and the +GDG Philippines. The morning started with another round of delicious breakfast from +Azalea Baguio. Since we already checked out our room, we decided to stay in the common area of the three-bedroom suite of Mama +Chelle Gray and Ms. +Aileen Apolo. After a restful evening in +Azalea Baguio, we woke up to enjoy the delicious breakfast the hotel served. I fell in love with the Baguio longganisa. After having breakfast and loading all the tab, I needed for my Google Search presentation, +Jomar Tigcal and I went to the events place on the other side of the hotel. There were almost a hundred women entrepreneurs and students! Travel to Baguio City We spent day 1 of our anniversary celebration on the road going to Baguio City. +Jomar Tigcal and I met up with Mama +Chelle Gray, +Jerome Locson, and +Reymart Canuel in McDonald's near Greenbelt 1 to wait for Ms. +Aileen Apolo and +Maricar Dabao with the van. We left Makati at around 8:30 AM. We had lunch in Max's Restaurant at SM City Rosales in Pangasinan and met with Allan Medrano there. By 3:30 PM we found ourselves in the beautiful city of Baguio. We went straight to +Azalea Baguio and rested a bit. Last Day of SEARCH Summit It was the last day of the SEARCH Summit. Time flies when you're having fun! We're having fun and making friends in Jogja. Now, I have acquaintances and friends from Pakistan, Sri Lanka, Thailand, Indonesia, Cambodia, and more places! Thank God for blessing us with opportunities like this. We had another excellent breakfast even if +Jomar and I woke up late. We had GDG Managers sharing their experiences the rest of the morning: +Samdy (+GDG Phnom Penh) shared about how to keep the community engaged. Next, +Ruben (+GDG Cebu) shared about collaboration between the groups. Then, +Louis (+GDG Singapore) shared about the success of their work with the government to create a contest in making useful applications using big data. Lastly, +Josan (+GDG Cagayan de Oro) shared about the success of their Student Developer's Day. We learned so much and had bonded over the last few days. The SEA GDG Managers is the best group ever! After getting restful sleep, we enjoyed the breakfast buffet at Hyatt. After breakfast, we went to a session with the GBG leads. We had a lot of good afternoon activities as well. I learned about Google Ventures, HTML5, AdMob and AdSense, and Diversity. I would say that the sticker exchange that happened in the morning did the trick that made the GDG leads a talk with each other. 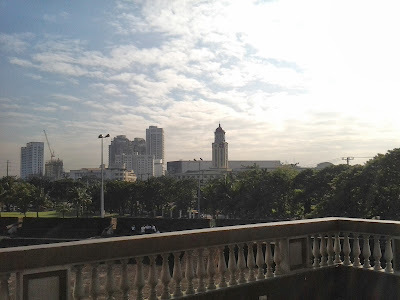 That's the summary of our journey from Manila, Philippines going to Yogyakarta in Indonesia to attend the Southeast Asia Outreach Summit organized by Google for the different communities (GDG, GBG, GSA, and MapMaker) in SEA. Ninoy Aquino International Airport There's 25 of us travelling from the Philippines. We left Manila a little after 9:30 PM via Cebu Pacific going to Kuala Lumpur, Malaysia. While waiting for our flight, the GDG Managers from the Philippines (+Jomar, +Josan, +Reymart, +Theo, +anne, +Ruben, and I) decided to use the time to discuss our DevFest 2013 plans. I also purchased from National Bookstore a new passport cover! Hihi. Last weekend, Jomar and I went to Cebu for another round of Google Apps for Education training for the University of San Jose-Recoletos. Our flight was scheduled at 10:10 PM via Cebu Pacific. We had dinner in Greenbelt 1 (Tokyo-Tokyo) and started to line up for a cab at around 7:30 PM. New city. New people. More universities going Google! Day 1: LSU Gone Google Last May 24, 2013 (Friday), Jomar and I took the only flight going to Ozamiz City (from Manila) for the La Salle University (LSU) Google Apps for Education Training. After the initial surprise of the checked-in luggage just being handed out by airport employees, we went out and looked for Ms. Leslyn of LSU. We saw her with the other professors, and we headed straight to the university. Being an alumna of De La Salle University in Taft Avenue, Manila, I am delighted to be sharing to the faculty of LSU what I know about Google Apps. We started the training a little after 9:00 AM and the teaching staff representatives from each college and department was very eager to learn. 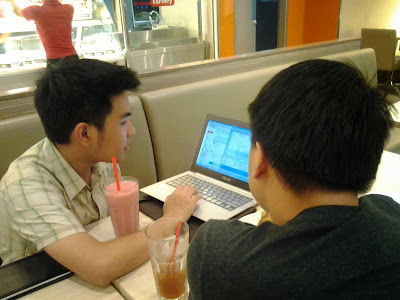 They asked questions and were really looking forward to maximizing Google Apps for the coming school year. Ilocos Sur in the Ilocos Region of the Philippines was one of our stops during our Ilocandia Exploration. 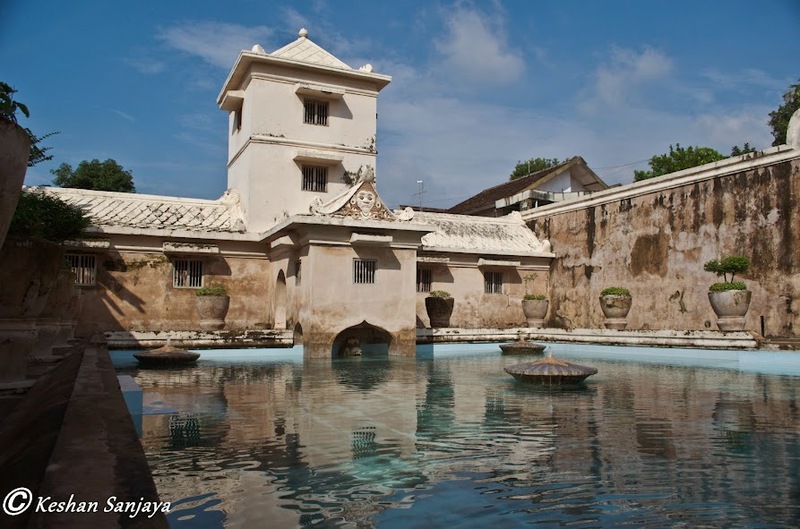 Here's a list of places we've visited in Ilocos Sur. 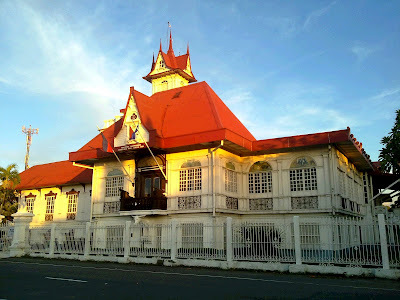 It was my dream to see what a town or street that is a glimpse of what the Philippines looked like during the Spanish time. From the photos I see online, the best place to achieve this dream is to see and visit Vigan City personally which was our first stop during the trip. Walking in Calle Crisologo did feel like I was transported to the past, during the Spanish Era to be exact. Too bad I was only using the camera from my Samsung Galaxy Tab that I can't capture the view I am looking at during that moment. Here's a list of places I visited in Ilocos Norte, Ilocos Region (Region 1), Philippines during my Explore Ilocos trip with high school best friends, Lik and Deci, and boyfriend, Jomar. Marcos Museum and Mausoleum Seeing the supposed to be the corpse of Former President Ferdinand Marcos is scary and creepy. The body inside the Mausoleum looks like its made of wax already, but they say it's his preserved body waiting to be in its rightful place in the Libingan ng mga Bayani. 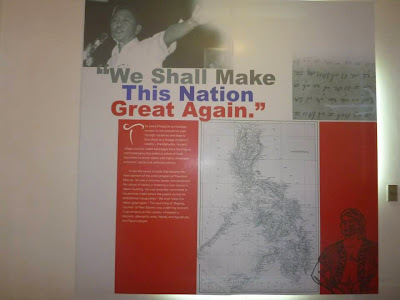 Meanwhile, the museum showcased the childhood of Ferdinand Marcos up until the time he married Former First Lady Imelda Romualdez. The highlight of the Museum would be the 11-day courtship between the two. Cafe Uno (Vigan City, Ilocos Sur) We had breakfast in Cafe Uno! +Jomar had the beef tapa while Deci, Lik and I had Vigan Longganisa. The beef tapa was too salty for my liking while the Longganisa was spot on delicious even if the serving is small. I had hot chocolate which from tablea - perfect! I had always dreamt of time travelling to the years when the Spaniards ruled the Philippines. I know it is not possible to time travel (yet) so the closest thing I could think of is walking the historic city of Vigan. 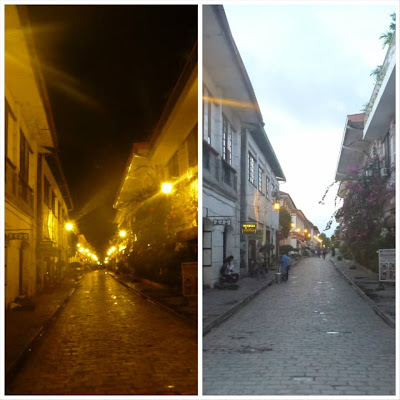 Checking the pictures online, Vigan is like a snapshot of what the Philippines look like during those early days. Last weekend, with my high school best friends (Deci and Lik) and boyfriend (+Jomar) we went to explore the beauty of the Ilocos region. I would be preparing separate blog posts for the places I visited in Ilocos Norte and Ilocos Sur as well as the food we tried. My mom is a Cebuana. She was born and raised in Cebu City. She would always share with us how she would have few but real friends from grade school and high school and would only get updated with them via snail mail. After months of convincing, my dearest mother now has a Facebook account. She was able to connect with her grade school and high school friends. Thus, she found out that one of her closest friends (who's now living in Alaska) is going home to Cebu for vacation. When I found out about this, I kept on nagging mother to go home to Cebu! She would say no because of the expenses and saying that she would only worry about Alyanna and the house and other things that are bothering her. I convinced her by saying that I would pay for the vacation. She deserves the break and its mother's day, anyway. It's the least I could do for her. Review of Joy Bus: The Deluxe Coach of Genesis Transport, Inc.
During my trip to Baguio, last March 2, 2013, Jomar and I (as recommended by friends) decided to try the Joy Bus of Genesis. We went to the bus terminal the day before to make sure we have a ticket going to Baguio and asked for the cell phone number of the person to contact in Baguio so that we could reserve our returning ticket. Reservation Number in Baguio 0906-591-6011. She doesn't reply though. I've been to Baguio a couple of times and have shared my experiences in this blog (Baguio-Bontoc Adventure and Places to Visit in Baguio). This particular visit is special because I am going there to do what I love, share with educators what I know and how they could maximize Google Apps.